The 2018 NASCAR Next class was announced on Tuesday afternoon, featuring nine drivers in the developmental ranks of NASCAR who are looking to take the next step in their racing careers. Anthony Alfredo, Hailee Deegan, Riley Herbst, Derek Kraus, Chase Purdy, Will Rodgers, Zane Smith, Tanner Thorson and Ryan Vargas make up the nine-driver class. Deegan, Herbst, Purdy and Smith were also a part of last year’s class. The last four Rookie of the Year award winners in the MENCS are NASCAR Next graduates. Who exactly are these nine drivers, though? Time to get educated. Possibly the biggest name in the class, Deegan is the daughter of freestyle motocross legend Brian Deegan, the youngest member of the 2018 class and currently competes full-time in the NASCAR K&N Pro Series West for Bill McAnally Racing. She’s yet to finish outside the top 10, and will look to continue her solid start this weekend at Orange Show Speedway in San Bernadino, California. 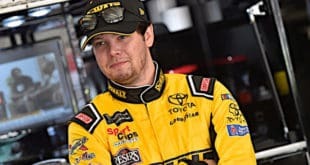 Currently competing for Joe Gibbs Racing full-time in the ARCA Racing Series, Herbst has one win to his credit, coming at Pocono Raceway last season, when he also won Rookie of the Year. He also has amassed eight top five finishes in 16 career K&N Pro West starts. The reigning K&N Pro West Rookie of the Year, Kraus has two career K&N West victories, both coming at Kern County Raceway Park in the 2017 season finale and to open up the 2018 season. He was able to beat 2014 Cup champion Kevin Harvick to claim the season opening checkered flag. Kraus also has competed in three Snowball Derby’s. 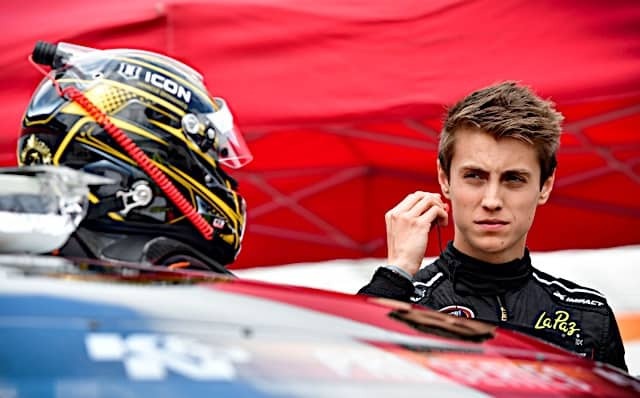 A former Whelen All-American Series Rookie of the Year and fourth place finisher in the 2017 K&N Pro East standings, Purdy now competes full-time in the ARCA Racing Series for MDM Motorsports and returns for his second straight year in the class. He amassed five top fives and four poles last season. Tabbed as a road course ace, Rodgers, the oldest member of the class, won the two K&N Pro East races he entered last season (Watkins Glen and New Jersey) and finished second to Harvick in the K&N Pro West event at Sonoma Raceway (all for Jefferson Pitts Racing). Rodgers and Harvick developed a friendship, and Rodgers considers the fellow Californian his mentor in racing. Rodgers currently competes part-time in the ARCA Racing Series for Ken Schrader Racing. 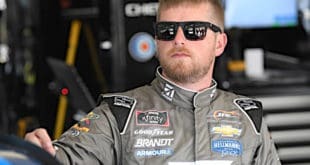 Smith has already earned two victories in ARCA this season (Talladega and Nashville) and was the 2015 Super Late Model champion at the World Series of Asphalt Racing at New Smyrna Speedway. This is Smith’s second consecutive year in the program. Thorson is the only driver in the class to have a majority dirt racing background, as he is the 2016 USAC Midget champion. He also made his Camping World Truck Series debut this season at Dover International Speedway. He has one K&N Pro Series and two ARCA starts to his credit. Vargas is running for Rookie of the Year honors in the K&N Pro East Series, is the a two-time Wendell Scott Trailblazer Award winner and is a member of the 2018 Drive for Diversity class. He currently sits fourth in the points standings and has earned one top 10 finish. 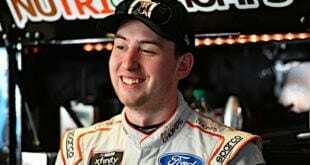 Some of those alumni include current Cup rookies William Byron and Darrell “Bubba” Wallace Jr., Cup winners Kyle Larson and Ryan Blaney, as well as Chase Elliott, Erik Jones, Matt DiBenedetto and Daniel Suarez. Davey serves an editor for the site and heads Frontstretch in 60, Fire on Friday's and The Frontstretch Awards. He recently graduated from Michigan State University with a bachelor's degree in sports journalism and is originally from Rockville, Md. He has an extreme passion for sports and has been following the sport of NASCAR since 2002, when he attended his first race at Dover. He also is a reporter for NASCAR Home Tracks covering the K&N Pro Series.